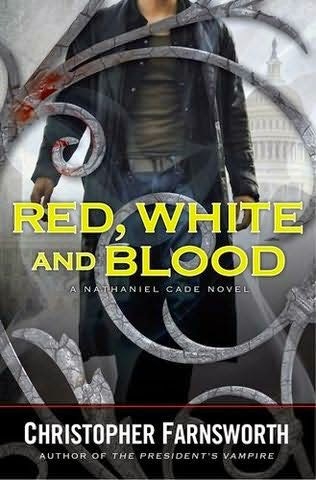 The third, and to date final, Nathaniel Cade novel. In this one, Cade and Zach attempt to prevent the parasitic creature known as the Boogeyman from murdering the president. Among the items in Cade’s trophy room are the leg of a cockroach roughly the same size as a human arm, hung on the wall with a plaque reading Operative Samsa, W. Berlin, 1948; a gallon jar filled with formaldehyde holding an insect claw labeled Delambre Remains, 1958; and the dried-out husk of a six-foot-tall praying mantis marked Judas Breed, Adult Stage, New York, 1997. The cockroach arm comes from Gregor Samsa, the protagonist of Franz Kafka's story "The Metamorphosis." The Delambre remains are a reference to the 1958 film The Fly, based on George Langelaan's short story of the same name. The Judas Breed is from Guillermo del Toro's 1997 film Mimic, which was very loosely based on Donald A. Wollheim's story. Tim Lebbon's Hellboy novel Unnatural Selection implied that Hellboy was involved in the events of Mimic. Perhaps he and Cade worked together to resolve the situation. The Whateley farm appears in a flashback, which also mentions Aleister Crowley’s conjuring of a moonchild, the bloody proof of which is all over Whitechapel. The Whateley farm is from Lovecraft's "The Dunwich Horror," while the moonchild is a reference to Aleister Crowley's novel of the same name. One of the characters in The Moonchild, Simon Iff, also appears in a series of detective stories by Crowley. The Whitechapel reference implies that this moonchild is Jack the Ripper. Since the origins of the Redjac entity have never been explained, this take on the Ripper could be considered valid for the CU. Among the places where the Boogeyman is reported or confirmed to have been encountered are Fairvale, CA; Camp Crystal Lake, NJ; and Springwood, IL. Fairvale is from Robert Bloch's novel Psycho and Alfred Hitchcock's film adaptation. Camp Crystal Lake is from the Friday the 13th film series. Springwood is from the A Nightmare on Elm Street films. The implication is that the Boogeyman influenced Norman Bates, Jason Voorhees, and Freddy Krueger, at least in their initial killings. I wonder if Cade ever found an explanation as to just why Gregor Samsa turned into a giant cockroach. There was none in the original Kafka story. I haven't seen Mimic but I read the original Wollheim story and thought it was interesting. It implied not only an insect species secretly living along with humanity, but a who biosphere. Is this the first reference to Psycho in the CU? It's the first reference to Psycho that I found, although more recently it was referenced in the British cop show Endeavour, a prequel to the series Inspector Morse, which has a number of crossover references, including some to works that are already in the CU. I seem to remember something else that reference Psycho, but I can't recall what it was. Aleister Crowley was born in 1875, the Ripper murders were in 1888. At that time, Crowley was not even involved in any kind of magick. Hmmm, that's true. Maybe, since Farnsworth only refers to Crowley by his surname, we can say this is a relative of Aleister's. Critical research failure on Farnsworth's part.